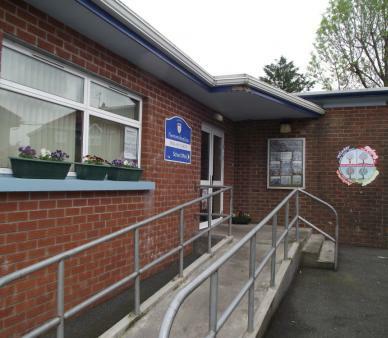 Newtownhamilton Primary School is a co-educational school operating under the authority and control of the Education Authority. Pupils range in age from 4 to 11 years and enrolment for the current year - is 65 pupils (excluding Reception children). The school building opened in 1955 following the amalgamation of a number of local schools. The building occupies an attractive site on the Armagh side of Newtownhamilton, adjoining Newtownhamilton High School. The school consists of a main building with 3 permanent classrooms, and a further mobile classroom. We have access to a full size gymnasium/hall and stage area in the High School as well as a large canteen for school meals, just recently opened. 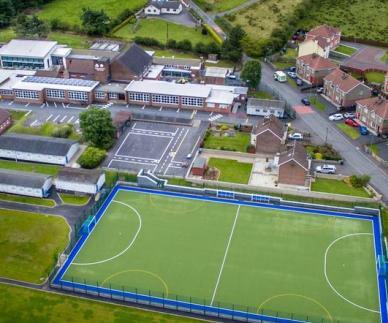 We also have the use of extensive grounds which include two tarmaced play areas (Rec - P2 children have a safe, enclosed play area with equipment and storage at the back of the school), a school garden with large planting boxes and a mini beast area, a full size football pitch and an additional grassed play area. Work has just recently finished on the fantastic new 2g pitch which will further enhance our sporting opportunities. We are very fortunate to be in a position to share facilities with the adjoining High School meaning that transition for our P7 children into Newtownhamilton High School is a very smooth process as our pupils are familiar with the buildings and staff from an early age. We also have a number of pupils each year who move further afield and continue their education in the local Grammar school, Armagh Royal. If you wish to visit our school to view the facilities available please contact the Principal, Mrs Angela Henry to arrange an appointment. We look forward to meeting you. Although we share the site with Newtownhamilton High School each school has its own separate front entrance. Those children attending the Primary School enter school from the School Road end of the site and parents should drop off and pick up their children at this entrance.  All visitors to the school are required to report to the School Secretary's Office on entering, or to the Principal, if Mrs Park is not available. The road outside our front gate can be busy first thing in the morning and at both 2 o'clock and 3 o'clock in the afternoon and parents are reminded to park carefully, so as not to block the entrance, and collect their children at the front gate to avoid them having to cross the road. Once the site of a mobile classroom the area has been cleared, surfaced and turned into an additional playground. Situated at the rear of the school this playground is for the exclusive use of all Reception, Year One and Year Two pupils. The playground is completely enclosed and can only be accessed from the main corridor of the school. The playground is equiped with a wide range of infant toys and games, including scooters, bicycles, a see-saw, climbing frame, sand and water trays and a house area. Play time for children, during the morning break and at lunch time is fully supervised. The school has a large tarmaced playground at the front of the school building which is utilised mainly by pupils in Years 4 to 7. The area is used the year round for a number of all weather games and PE activities. It is also marked out to facilitate the Cycling Proficiency Scheme in which senior pupils participate annually. The playground leads to a wide expanse of grass which is shared between the High School and ourselves. The grass area contains a full size soccer pitch and it makes an excellent venue for Sports Day and our own 5-A-Side football tournament which is held annually in June. The fringes of the area are also used to promote our World Around Us and Environmental teaching. 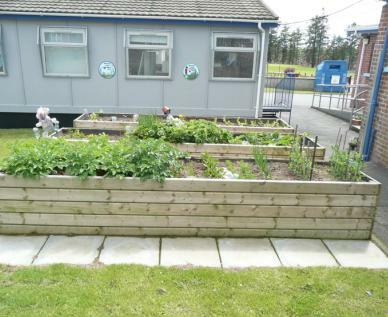 This area was set up in 2010 to provide an opportunity for all pupils to engage in planting and growing and to add a practical element to our science work on living things. Finance from the Extended Schools Programme got the project up and running and since that time each class has experienced growing a range of vegetables, herbs and flowers. Each class has its own planting box . In addition to the planters there are areas for planting flowers, bird boxes and the next stage of the project will provide a log pile for pupils to investigate 'mini-beasts and a wildlife garden to encourage not only wildlife but also native wild flowers. We are very fortunate to have the shared use of a full size gymnasium for our PE programme. This resource also doubles as an assembly hall and it is used on special occasions when parents and friends of the school come to see performances by the children or be present at Prize Distributions and fund raising events. The gym is fully equipped and we have our own store off one side in which we keep our own PE resources and equipment. 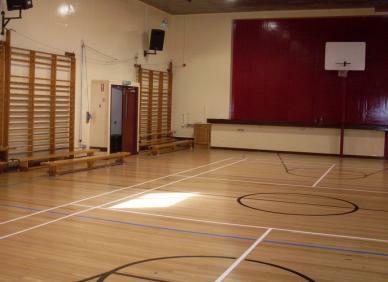 The stage at one end of the hall is used for school plays and performances throughout the year. All the classrooms, storerooms, toilets, staffroom and principal's office are accessed from the central corridor. 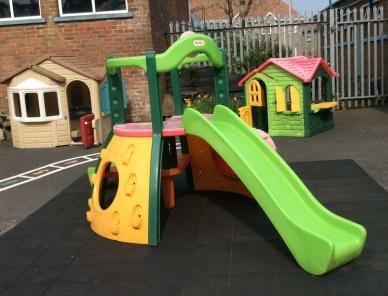 It also provides access to the infant playground at the back of the school. 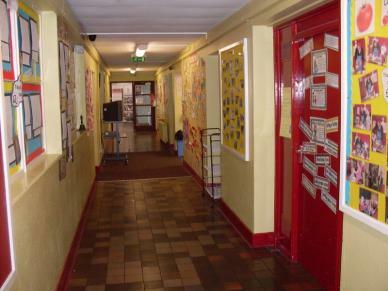 The walls of the corridor provide the space needed to display work completed by the children. The door at the far end of the corridor leads to the High School and provides access to the Sports /Assembly Hall and the school canteen. Years 3,4 & 5 are taught by Mrs Managh in this mobile classroom which is situated inside the school's front gate. The room has been recently decorated and is equipped with its own cloakroom and storeroom. An interactive whiteboard has also been installed recently and was a gift made to the school by the Parent Teacher Association. Mrs Managh is supported by classroom assistant, Mrs Leyburn. The Year 6 & 7 classroom is in Room 1 on the school's main corridor opposite the school's library area. It is also equipped with an interactive whiteboard and has 2 desktop computers with accompanying black & white and colour printers and up to 8 lap top computers for pupil use. Mrs Mitchell teaches Year 6 & 7 and is supported by classroom asistant, Mrs P Knight. Situated in Room 3 on the main corridor is the school's library. Children come here to select library books for reading at home and to research school work. The library contains books for the whole primary range and also reference books to enable pupils to research projects and access information useful for their classroom activities. The books contained in this area are a mixture of books provided by the Southern Education & Library Board and those owned by the school itself. Again, the walls provide space for the display of children's work while desks provide an area for ICT work. This classroom is also equipped with an interactive white board and is connected to the school's computer system which allows children to take advantage of primary school computer technology. 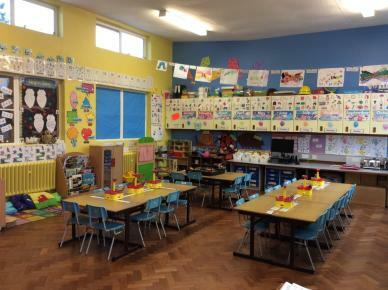 Mrs Henry & Mrs Cargill, the class teachers along with their Foundation Stage classroom assistant, Mrs Stephenson, cater for pupils from the age of 4 to 6. 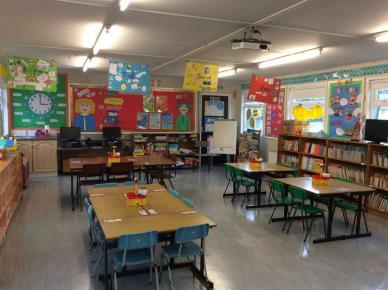 The room is equipped with a wide variety of resources which are designed to stimulate and educate the minds of the youngest children in the school. The class also takes advantage of teaching space just off the main corridor and has its own tarmaced play area at the rear of the school.